Produced by BBC in association with Sesame Workshop, Blink Films and Zenith Entertainment. Four young teens are about to have their lives dramatically altered. They will need to find friendship in the most unlikely place just to survive adolescence in the off-beat series Out There. Miller and Fiona are two Australian kids living in the small country town of “Wollemi”. These two local kids find their lives completely changed by the arrival of two outsiders, Reilly, an American from wealthy Connecticut and Aggie, an animal mad English girl. Set in and around the Wild Spring Veterinary Clinic, this series explores the personal turmoil and social misadventures of the foursome, as they navigate the obstacles of adolescence. 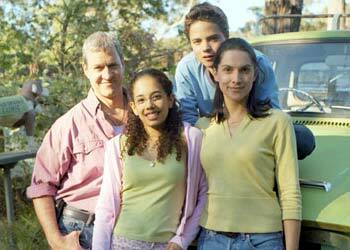 2003 AFI Award winner for Best Children's Television Drama Series.